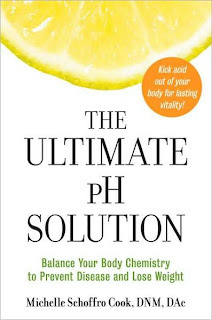 The Ultimate pH Solution: Balance Your Body Chemistry to Prevent Disease and Lose Weight: Michelle Schoffro Cook. Control the level of acid in your body and reclaim your health with this simple, step-by-step program Beginning a healthier lifestyle can be as easy as starting your day sipping a glass of water with a squeeze of lemon juice. Drinking this simple drink is only one of the many ways, all outlined in The Ultimate pH Solution, that you can change your body's pH and ward off disease. Too much acid in your blood can cause a host of health problems, but with cutting-edge, medically sound research, this indispensable guide offers an easy-to-follow plan and simple lifestyle changes that will help you kick acid and stay healthy. 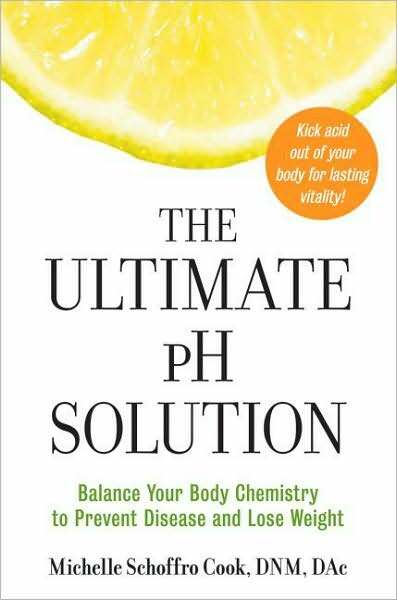 The Ultimate pH Solution also includes real-life success stories of people who have overcome disease and lost weight by balancing their pH levels, along with 50 recipes for delicious pH-powerful dishes. Learn why high-protein diets may be harmful to your health, why eating dairy may not help you avoid osteoporosis, and how to lower the acid levels in your body for optimal health.